India is in the midst of an acute unemployment crisis. Unemployment rate is at a 45-year high of 6.1 percent in 2017-18 as per the leaked Periodic Labour Force Survey (PLFS) report of the National Sample Survey Organisation (NSSO). According to the NSSO data, unemployment rate in urban areas is 7.8 percent with open unemployment of about 20 percent among the educated youth. In addition, majority in urban India work in the informal sector and are thus exposed to a host of risks and precarities. This, along with continued ecological degradation and crumbling urban infrastructure needs urgent attention. To address these concerns, and in continuation with the State of Working India Report (2018), members of the Centre for Sustainable Employment, Azim Premji University, Bangalore have drafted a policy paper titled ‘Strengthening Towns through Sustainable Employment’. The proposal calls for the creation of a National Urban Employment Guarantee Programme that strengthens small and medium-sized towns in India by assuring urban residents a legal right to employment. (f) Unemployment and lack of skills among educated youth. We emphasise that the programme would not be at the cost of MGNREGA but rather, the two would go hand-in-hand. beyond class 12 would be provided apprenticeship in monitoring, surveying, and other similar tasks in public offices, schools, hospitals etc at Rs 13,000 per month for a contiguous period of 5 months. While the first category of work is used to address the question of low-wage informal work and underemployment, the second category is designed to provide skill-building and internship for the educated youth. A new set of “green jobs” have also been proposed including creation, rejuvenation, and maintenance of urban commons such as lakes, parks, waste land, and disaster management. Further, a set of jobs that will cater to the “care deficit” in towns by providing child-care and care for the elderly and the disabled to the urban working class have been included. (c) Payment of a delay compensation if wages are not paid within 15 days. In the last few years though, MGNREGA has been severely stifled due to inadequate funds and excessive centralisation of wage payments. To address this, we propose that the labour costs be split between the Central government and the state governments and the non-labour costs be split between the Centre, states and the ULBs, based on the size of the towns. In light of the 74th Amendment, this programme should be administered by the ULB in a participatory manner by involving the Ward Committees. It shall identify projects, prepare annual works plans and implement the programme in a participatory manner by involving the ward committees and ward sabhas. Section 4 of the Right to Information Act, 2005, concerning mandatory and proactive disclosure of information and bottom-up, worker-centric, information systems, shall be strictly adhered to here. Further, strong accountability structures through mandatory periodic social audits and public hearing by independent units and legislations through a “Right to Timely Grievance Redressal” have been proposed for participatory implementation. The total estimated programme budget would range from 1.7 to 2.7 percent of GDP depending on whether employment is guaranteed to one adult from every household or every adult resident. 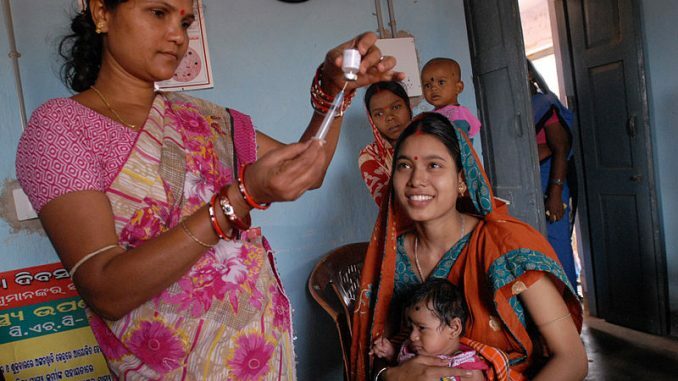 Between 30 and 50 million people will get opportunities for work under this programme. The Central government’s budgeted funds would be transferred to the states and to the ULBs upfront in the beginning of each year. Wage payments, unlike MGNREGA, would be decentralised and happen through states and ULBs. 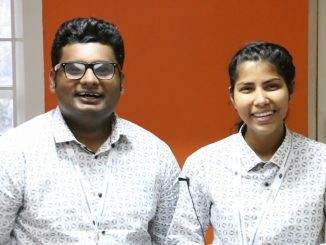 Ashoka Youth Venturers Anshu and Ravi have set up R K Crystal to impart practical knowledge and skills to college-goers aspiring for jobs in the corporate technology sector.